Another lunch with a friend in the city and they suggested Pho Dzung, not far from the office... I must have walked past it before, but hadn't noticed it. It's on the corner of Russell and Lonsdale street, and while not huge has plenty of signage on the window! Inside it was very busy on a Friday lunchtime, packed in fact. The fit out featured photo's of the dishes from the menu on the wall and a TV thankfully turned off, but was otherwise fairly plain and modern. 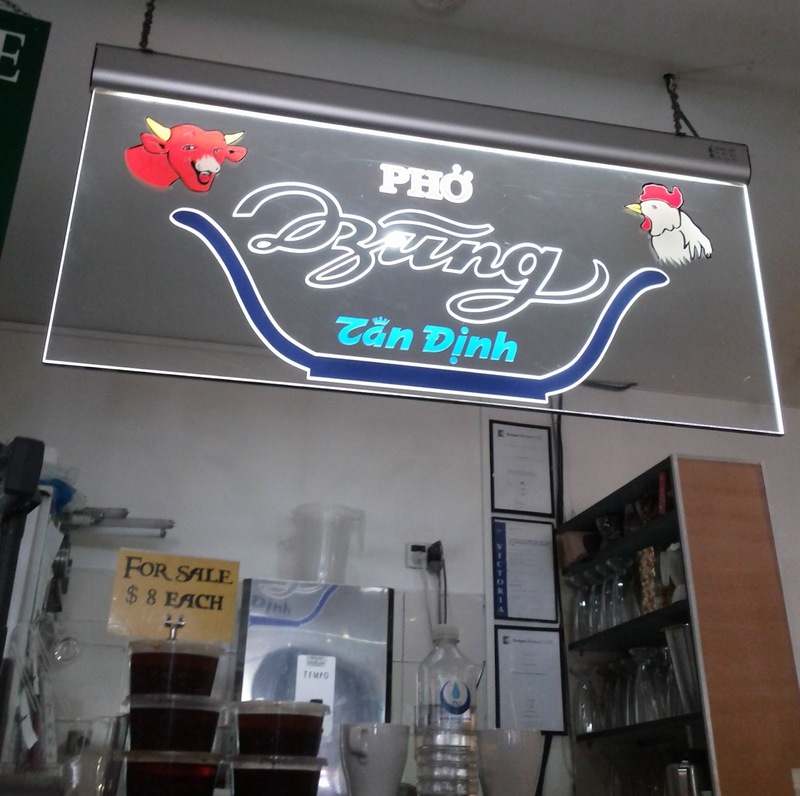 We ended up sharing a table with another group and one other diner right by the counter and under the sign. We got copies of the double sided single sheet menu with photo's of some of the dishes. 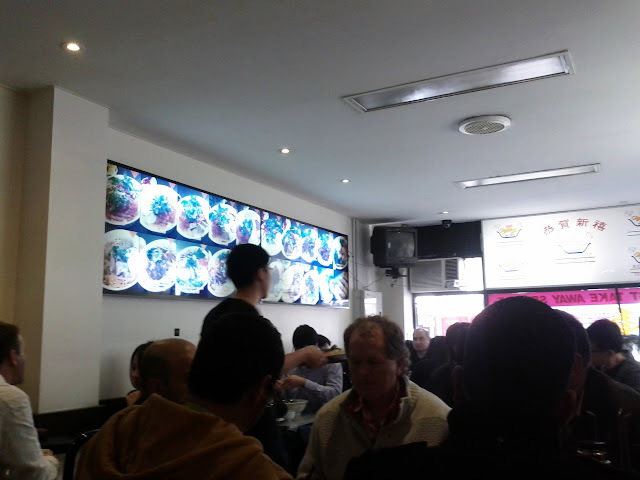 It also had the addresses of sister restaurants in Richmond and Footscray. 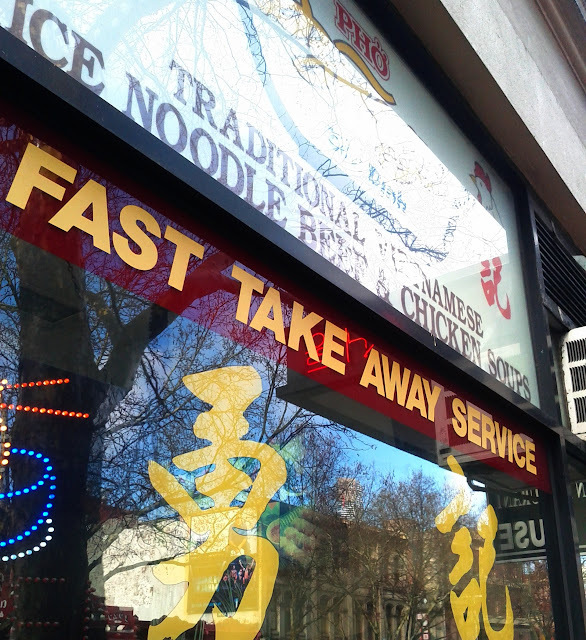 I haven't been to either before, the Footscray branch is apparently on Nicholson street near little Saigon market. 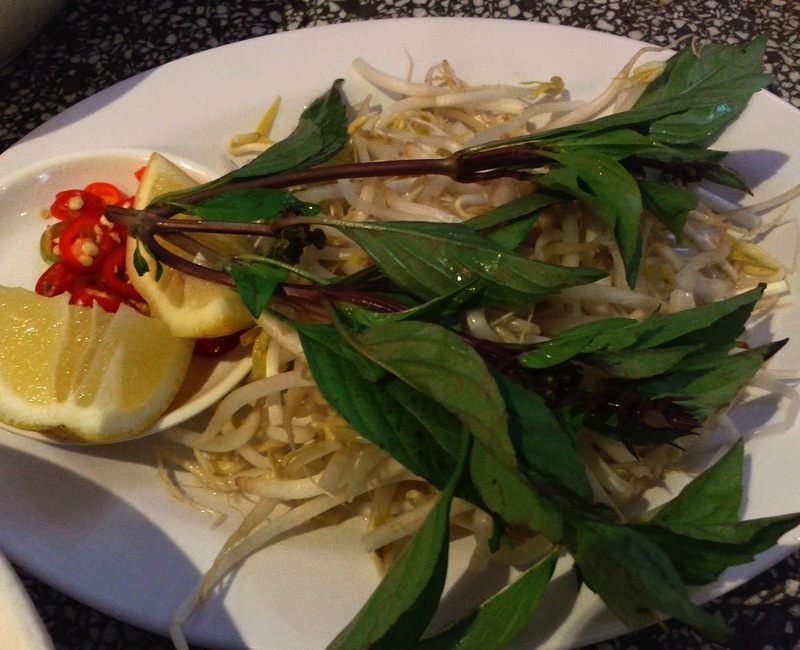 We both ordered pho and the herbs, chillies and bean shoots arrived soon, looking pretty fresh... I was warned that the chilli slices were hot, and it turned out to be true, just two slices in the broth was noticeable! 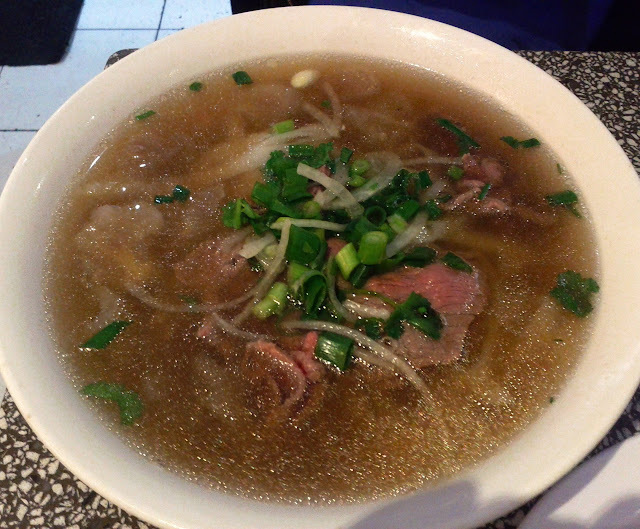 Linda had the beef and tendon pho, apparently the tendon is good for you! The thinly sliced beef was pink and the dish looked great. 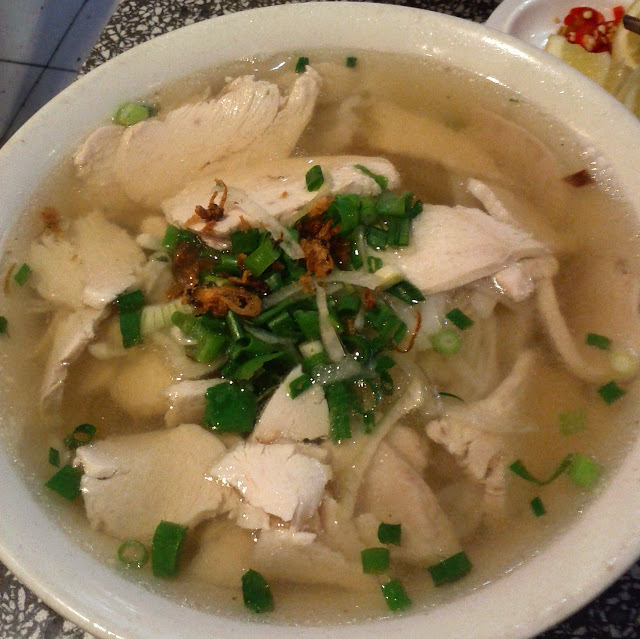 I stuck with the tried and tested sliced chicken pho, which contained plenty of tender slices of poultry in the tasty stock. The medium sized bowl which I polished off satisfied my lunch time hunger on its own.